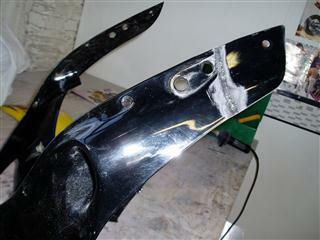 Hot gas welding of thermoplastics is a manual welding process. 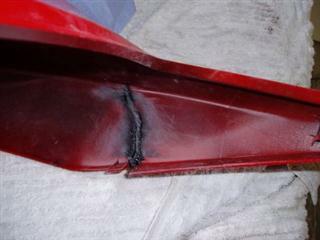 A stream of hot air is directed towards the joint between the two thermoplastic parts to be joined, where it softens or melts the polymer. A filler rod is also heated in the stream of hot gas and this is fed between the two parts. 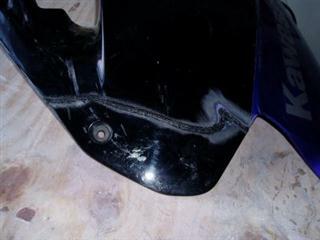 A weld is formed by the fusing together of the thermoplastic parts and the filler rod. 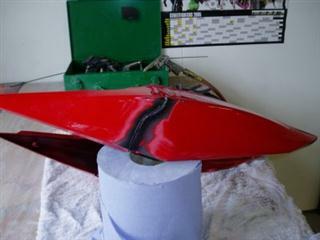 When carried out carefully the plastic part will be as good as new.